The interactive light Flower from the Universe will be showed at Niagara Parkway District, Niagara Falls Festival of Lights . 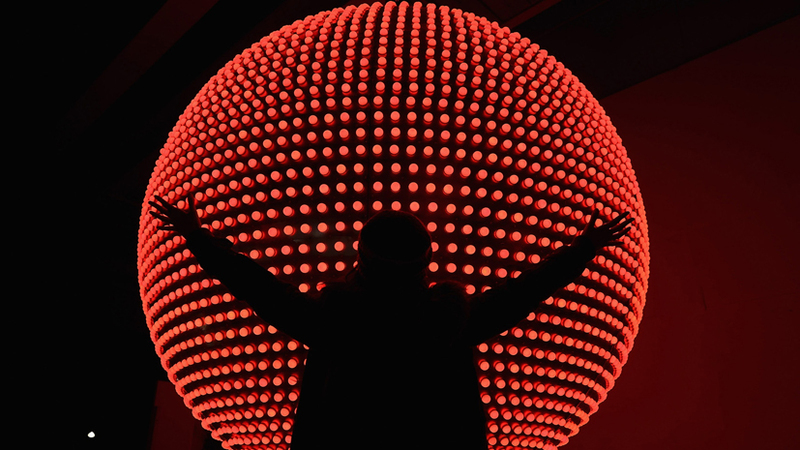 Temporary light installation Red Arena Park Hilversum 2018. This month, West Wednesdays is dominated by (Pure) Nature. Artist Fredie Beckmans takes the tour on a nature walk. The program starts at 6:00 pm - sharp - at the intersection Pesthuislaan on the WG site and arrives at Tetterode around 7:15 pm. Participation is free! On 26 November, Avrotros Kunstuur will broadcast a special on commissioning, in which four projects are discussed that have been realized with the help of a contribution from the Mondriaan Fund. Sketch assignment by Ministry of Foreign Affairs and the Government of Lithuania, 2018.